Home > Ask Our Experts > Are Biometric Cards For Children's Dinner Payments Ethical? My local school is implementing biometric cards for children in order to make payments for school dinners, (in the newsletter received I am told several schools have already adopted this system). If they refuse they then will not have access to food at school. This will involve taking my child's finger print to put on the card - something I am not happy with. Is this an infringment of her rights as the only other time your prints are required is if you are a criminal suspect.. or for work security. Please can you advise me on this as it will start soon and I feel all parents should at least question this. There has been much controversy over biometric cards and the use of this technology in schools. The biometric technology scans fingerprints and is used for identification and data gathering. This technology has been used in schools in recent years to access services such as libraries and gaining access to school buildings. Biometric cards used in dinner situations known as the cashless school dinner system has come under fire from both parents and MPs. As far back as 2007 the government warned schools that the policy of 'no fingerprints, no food' could actually be illegal. The question of parental permission and biometric cards has also been under dispute since the system was introduced. According to the educational technology agency Becta, the Data Protection Act stipulates that there is no actual specific need to seek permission. Pupils should be told that the system is being used and if the pupil is too young to understand then parents should be informed. Becta has advised schools that parents should be kept informed as much as possible. Under the rules of the Human Rights Act the gathering of pupil’s personal data can be justified if it is in the school’s interests. If parents do refuse to give permission for their children to use the system then an alternative lunch should be provided. However, the Department for Education and Skills has stated that the alternative lunch system will be up to the schools to decide. Some schools have provided an alternative such as paying for food and others have simply left the alternative as packed lunches. Issues surrounding the biometric cards include identity theft, privacy issues and the fact that some schools are not consulting parents when introducing the system. Schools have insisted that no records of fingerprints will be kept and it is a way to keep an eye on what children are eating every day. It is also claimed that the biometric system will help remove the stigma associated with free school dinners. However, parents have formed groups around the country to protest against what they see as an invasion of their children’s rights. At the moment it seems that schools can implement these systems without parent’s permission, although parents can refuse to allow their children to use the system. 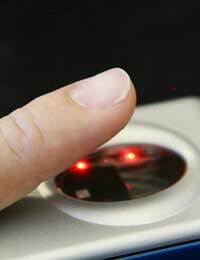 Much has been said over the government introducing biometric systems whenever and wherever they can. Alternatives that could have been used in schools for cashless dinner systems do include smart cards where no fingerprints are needed. Under the Data Protection Act all data must be held securely and be kept for no longer than necessary. Parents should be aware that schools are the 'data controllers' and it is up to the schools to decide the purpose of the data and how it is processed. Parents who are concerned can find more information on the school dinner biometric system at the website Leave Them Kids Alone.